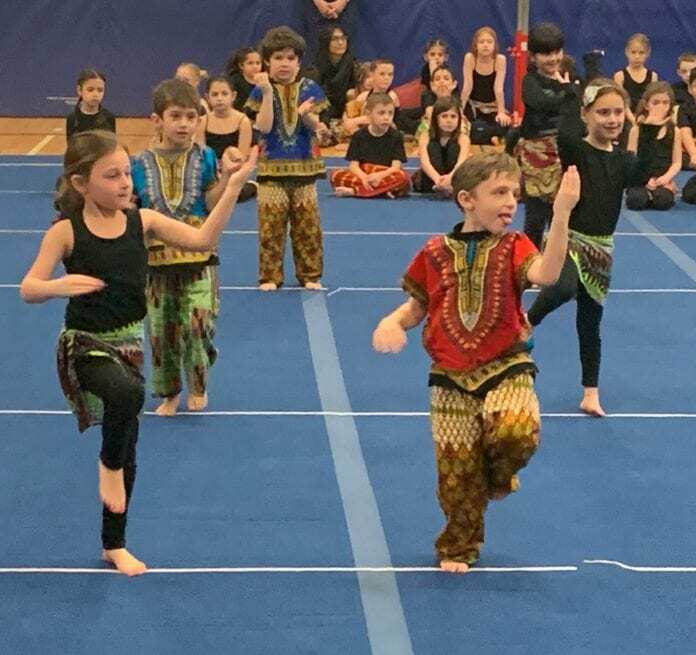 With a hop, skip and a twirl, first-graders at Port Washington Union- Free School District’s South Salem Elementary School showcased the West African dances they learned at their recital on Friday. Over the last six weeks, the Alvin Ailey Dance School has been teaching the first-grade classes traditional West African dances in a six-week program sponsored by HEARTS, The Ed. Foundation and Salem’s HSA. Ailey was an African-American choreographer and founder of the Alvin Ailey American Dance Theater and the Ailey School in New York City. A fisherman’s dance called the KuKu was performed by Lisa Unger’s students. The dance originates from the coastal fishing villages of Guinea. Another dance from Guinea, the Macru, was performed by Cindy Swenson’s first-graders. It is a celebratory dance where men and women would show off their fast dancing skills. Gail Martin’s class performed Sinte, a rite of passage dance where boys from the Nalu people would prove their strength and versatility by completing this dance. Students imagination was exhibited during the performances when they were able to share what they dreamed of. One student dreamed of seeing “tacos falling from the sky” and another wanted to trot around on the back of a T-Rex.